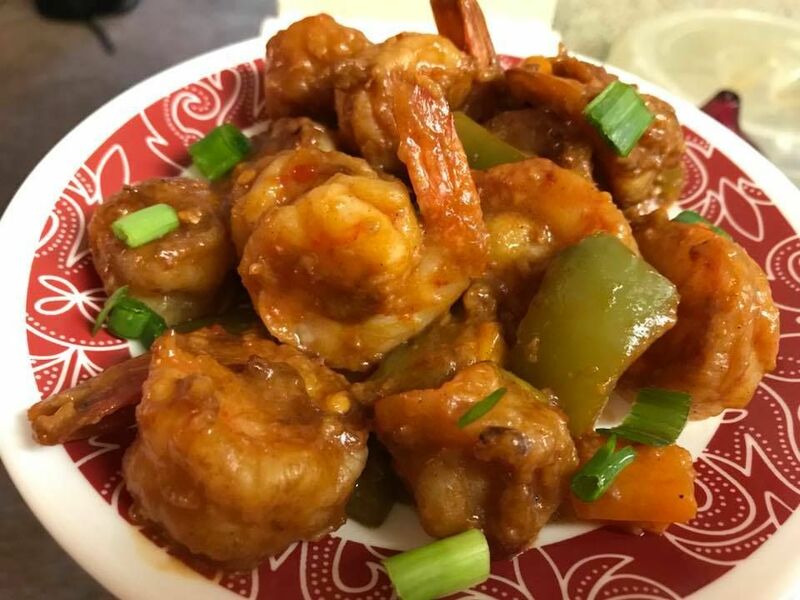 Properly Wash Prawns &Pat dry using a paper towel.Take a big bowl put prawns and add marinated ingredients mentioned above.keep aside for 30 min.Heat a pan adding oil deep fry marinated prawns and drain on a paper towel to remove excess oil. Heat oil in another pan add garlic, chilli & saute.add white part of spring onion & bell peppers saute.now add sauce mixture & cornstarch dissolve with water and mix properly once it starts boils.add fried prawns.mix properly so that sauce it coats properly.turn off heat & garnish with reserve green spring onion and Serve hot !! My Tip: Adjust Prawn quantity and sauce as per own taste buds.